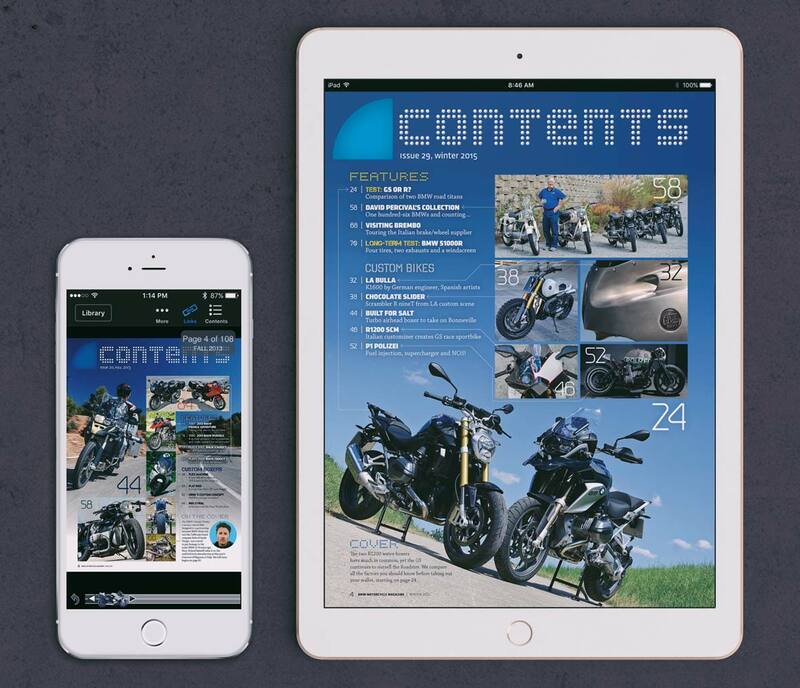 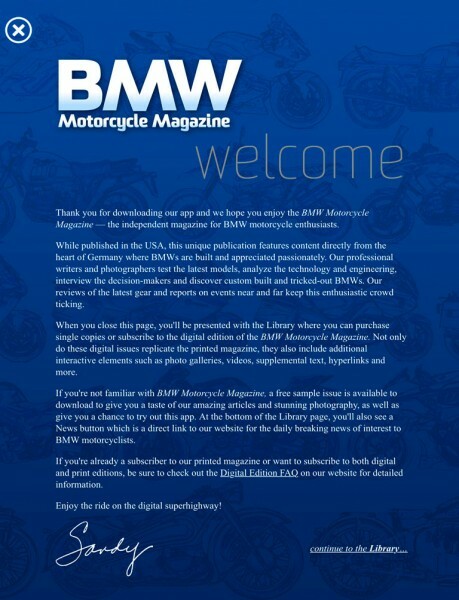 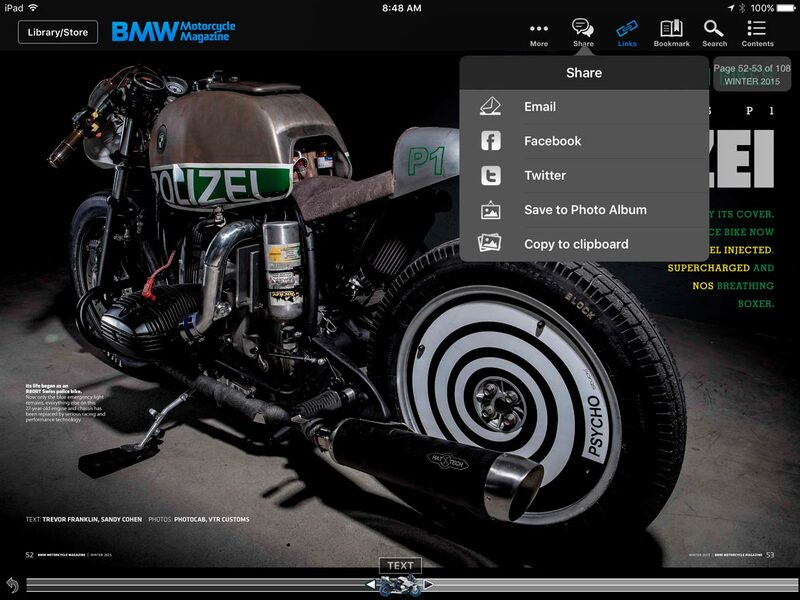 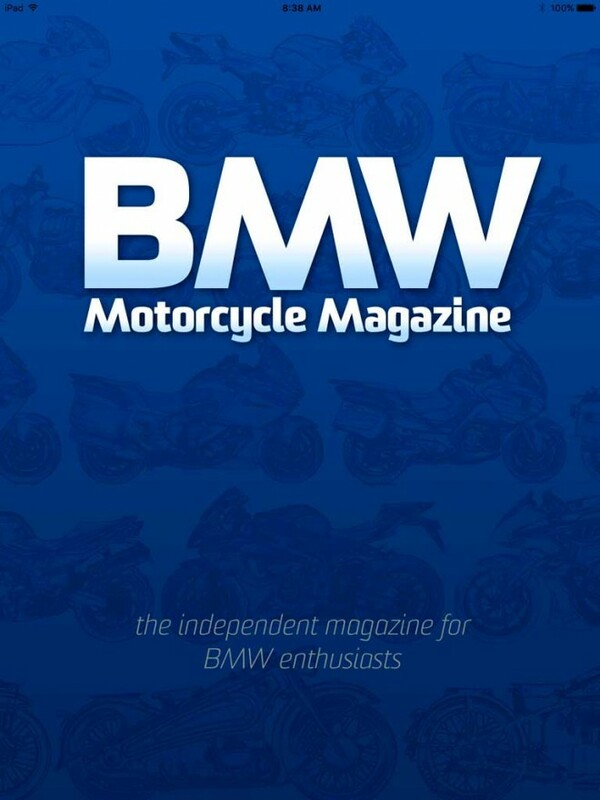 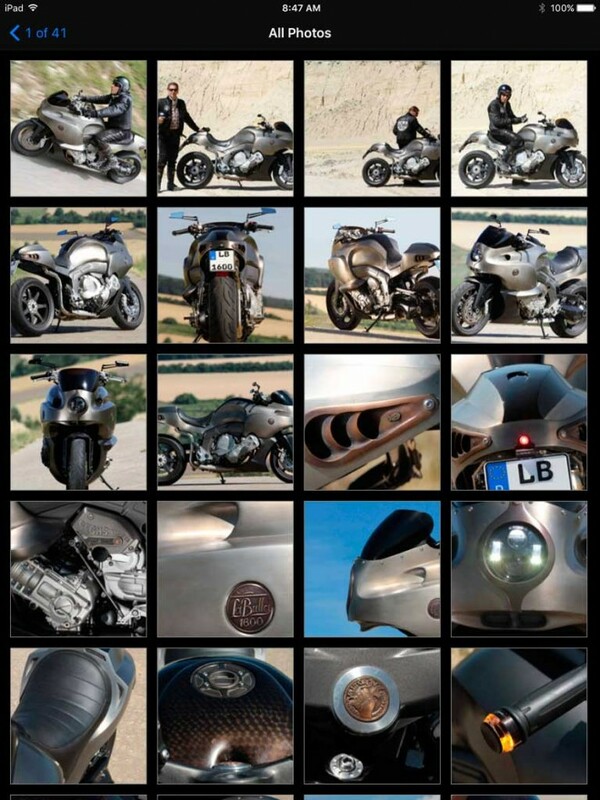 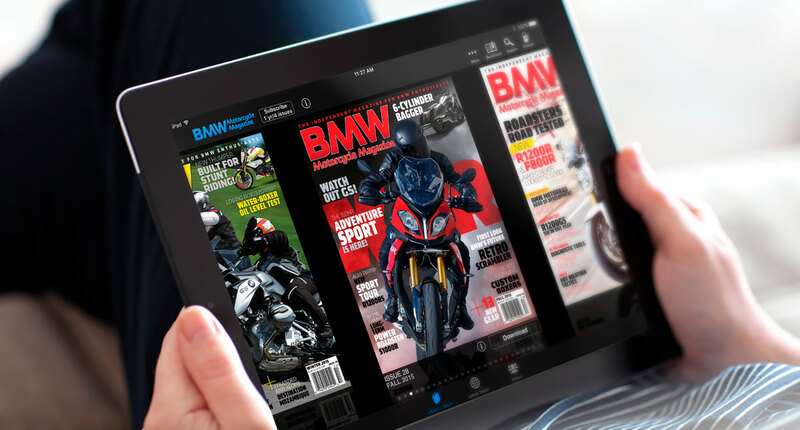 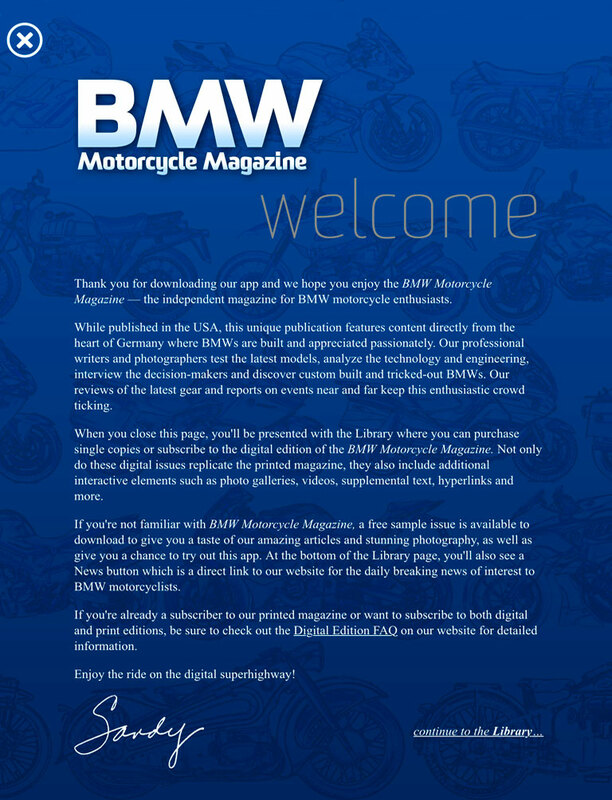 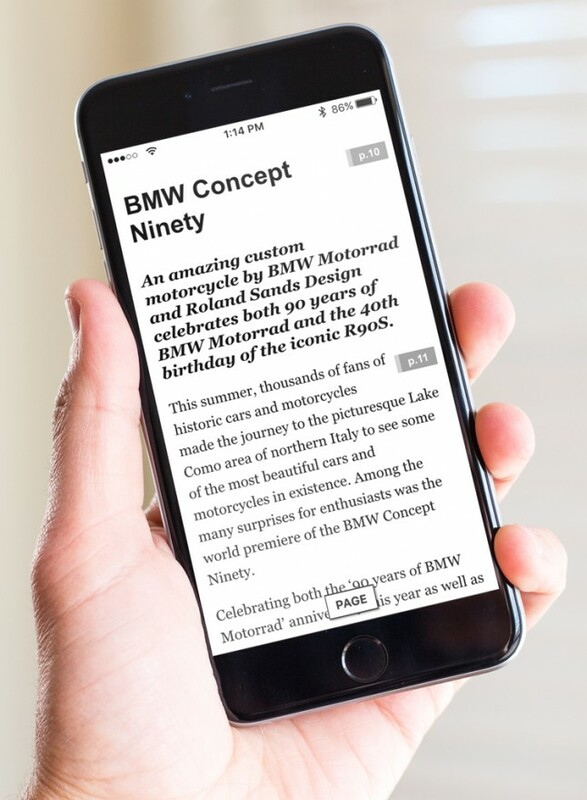 The app for the digital edition of the BMW Motorcycle Magazine was created in collaboration with Carob Apps. 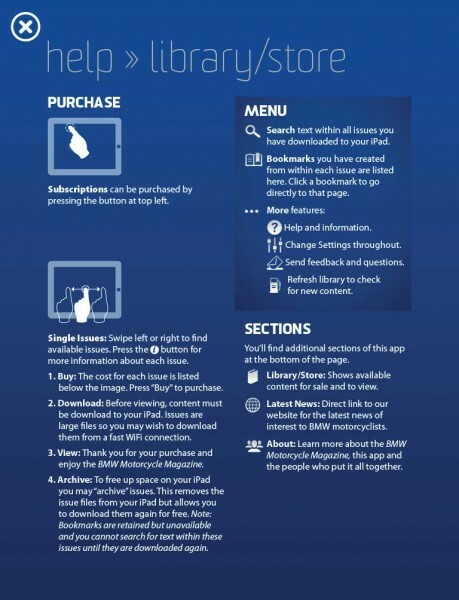 This custom app allowed us to define the user interface and design each element from the splash screen to the individual icons. 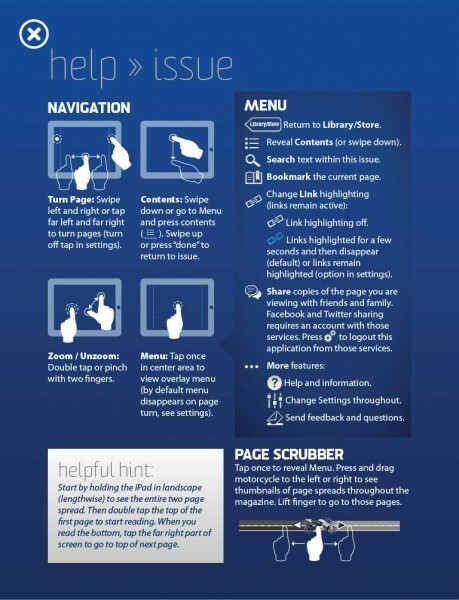 For example, instead of a basic page navigation scrubber, this app features a motorcycle which can be pushed down the road to scroll forward or back through the magazine. 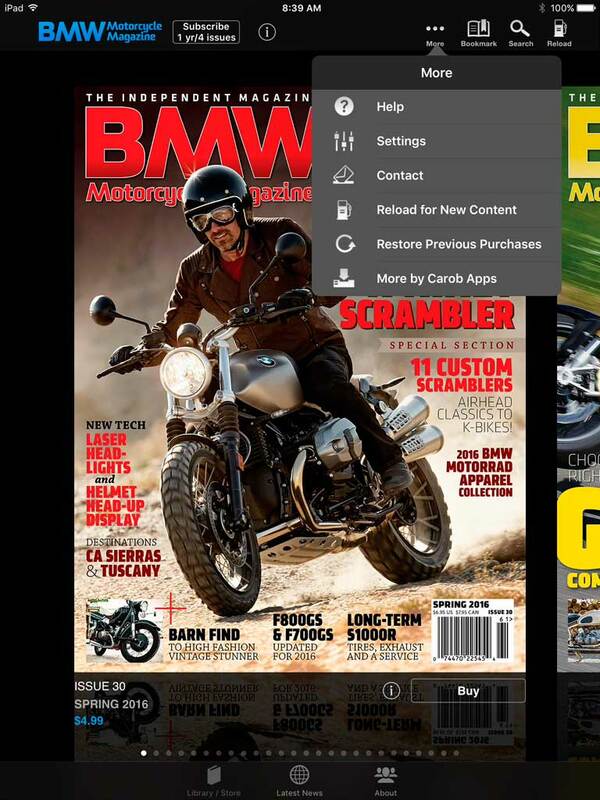 And instead of a basic “reload” icon, there’s a “refuel” gas pump. 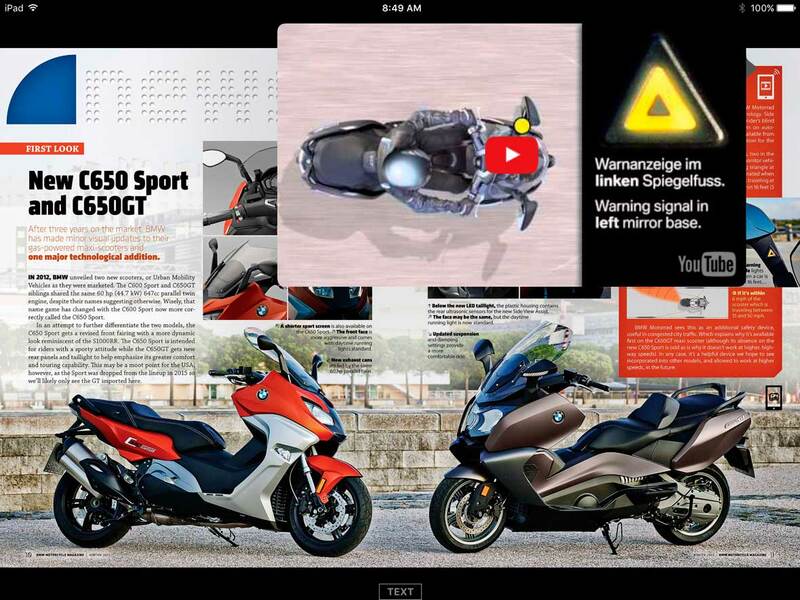 The digital edition includes a replica of the page layouts from the print edition, a text version for easy reading (especially useful on smaller devices), image galleries, videos, links to additional content and a sharing menu. 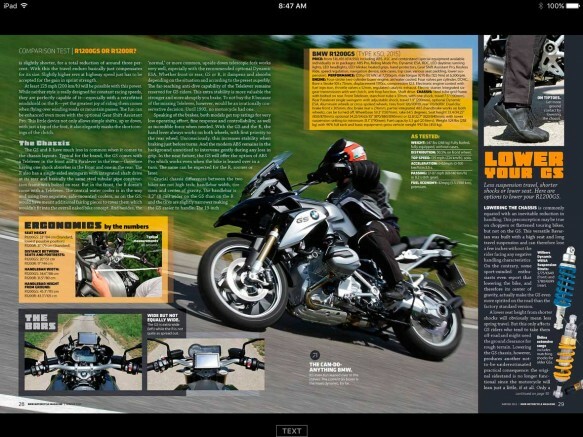 The BMW Motorcycle Magazine app is a free download from the App Store and there’s a free “sampler” issue you can try.